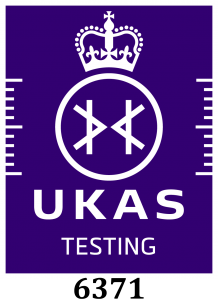 PHH is Accredited by UKAS for the provision of Asbestos Assessments (ISO 17020:2012), Asbestos Bulk Analysis (ISO 17025:2005). These Accreditations are to International and UK standards that guarantee Quality and Technical ability for the inspections and reporting quality. Both organisations are audited internally and externally annually to show compliance and continued adherence to international and Industrial Standards for Professionalism, Technical compliance and Quality Management. All final reports are checked by senior members of staff prior to submission to any client to ensure accuracy and consistency is maintained and in compliance with industrial and Accreditation Standards. Errors, if any, are identified and corrected prior to report finalisation and submission to clients. Our surveyors are all qualified and trained to the required industrial standards and legal requirements for performing surveys. Senior staff are also qualified to a higher level as required by our UKAS accreditation to ISO 17020, especially for Asbestos Inspections. 5% of the surveys conducted by our surveyors are audited at random to check for compliance with company procedures and industry methods and conventions. Our pass rate is 100% across all surveyors. Compliance and maintaining high quality services is at the heart of our company ethos. Audits are conducted at random to check for compliance with company procedures and industry methods and conventions as well AIMS and RICE. Our pass rate is 100% across all analysts. Compliance and maintaining high quality services is at the heart of our company ethos. PHH Environmental UK Limited, Forgeside House, Cardiff Bay Business Centre, Forgeside Close, Lewis Road, Cardiff, CF24 5FA Company Registration Number: 5146856 VAT Registration Number: 840 4713 45. Send mail to info@phhenv.co.uk with questions or comments about our services or this web site.